In a previous Blog, I set out to write about four McMaster sisters. 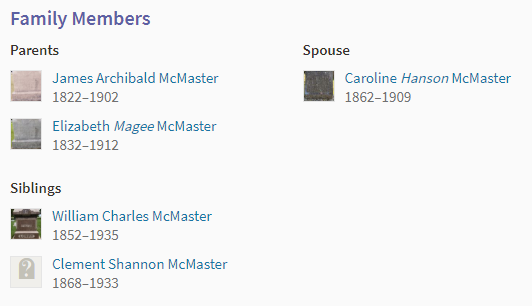 One of them was my third great-grandmother Fanny McMaster. In the process of writing about them, I discovered that Fanny’s mother Margaret Frazer McMaster had traveled to Canada with the family. I later found out that the sisters had a brother James who moved from Canada to the US. 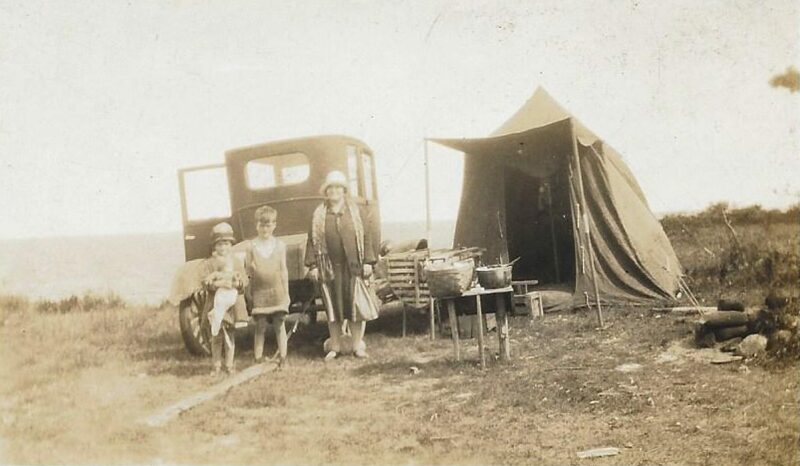 His mother Margaret lived with his family before he died. Fanny is incorrectly shows as my 4th great aunt for some reason. 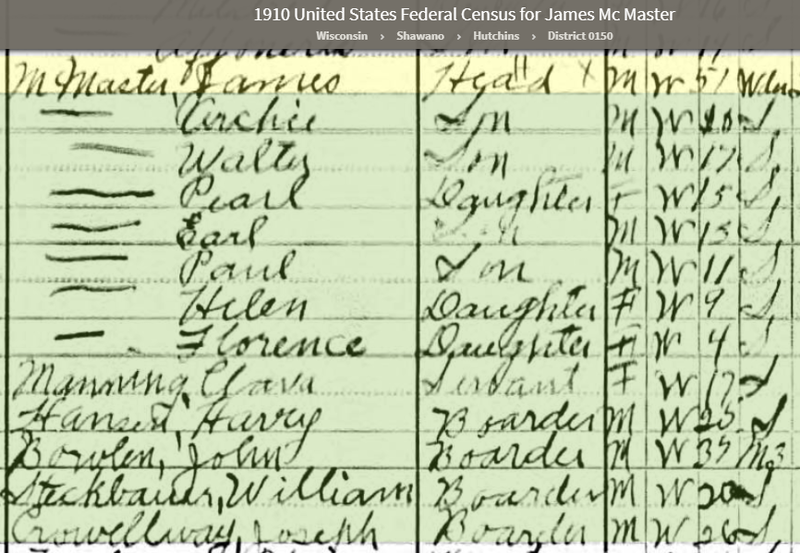 This also shows Fanny’s sister Mary Ann McMaster and Fanny’s brother James Archibald McMaster. I match Jennifer at 14 cM which would be normal for a 4th cousin once removed. Jennifer’s tree in dotted line goes up to her grandfather Paul McMaster. After that, my tree takes over with James A McMaster. 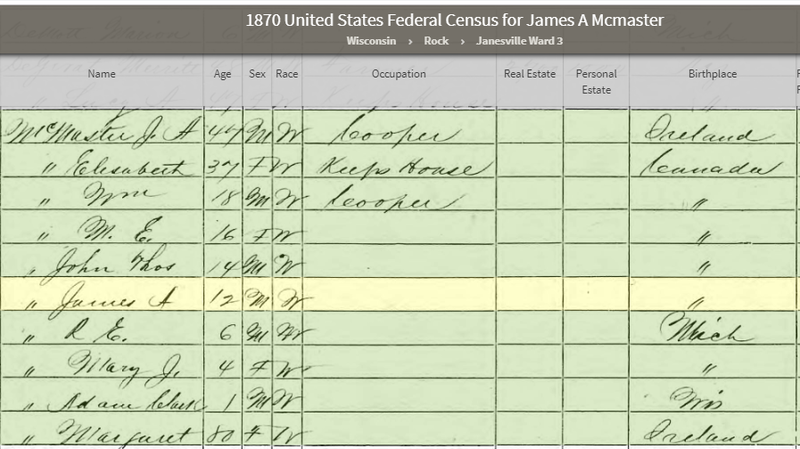 The above ThruLines probably appeared after I added James Archibald McMaster to my tree based on my previous Blog. I don’t see any Paul yet. I suppose Harry P could be Harry Paul. 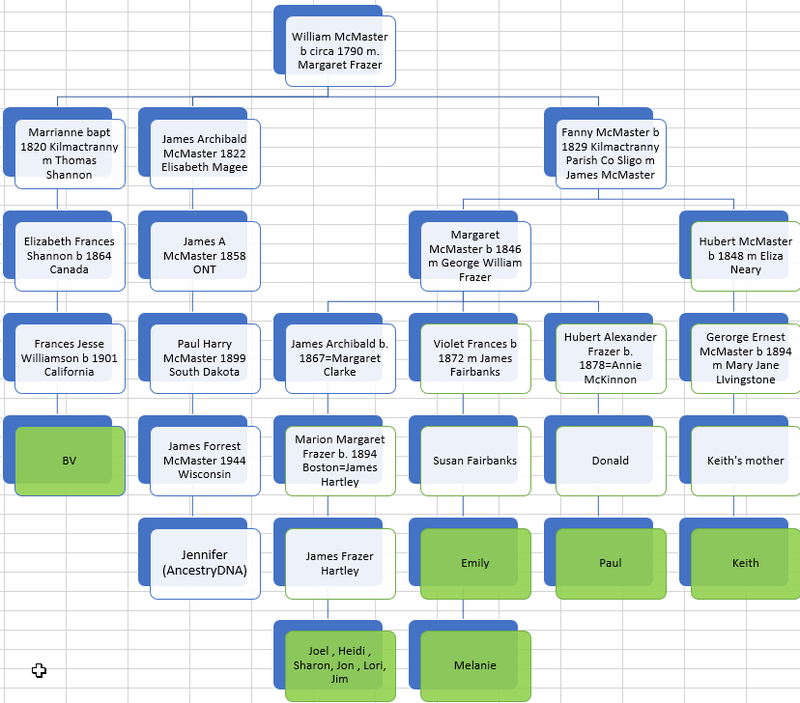 I’m going about this backwards as genealogists are supposed to go from the present to the past. I am going from the less recent to the more recent. 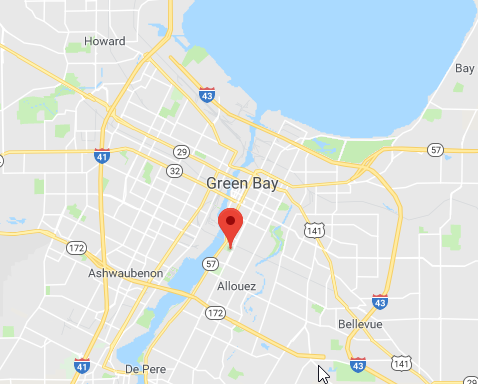 Now the family moved back East to Hutchins, Wisconsin. James’ wife Carrie died and Harry P is now Paul. That seems to cement the connection between my tree and Jennifer’s. I don’t have Jennifer in green as she has not uploaded her DNA to Gedmatch as far I know. It wasn’t until this year that I discovered the connection. Mtrent’s tree is private, so I don’t know the specific path to mtrent has to James McMaster. However, mtrent is one generation down from Jennifer, so that would make us 5th cousins. This was a simple autocluster with only 5 clusters. 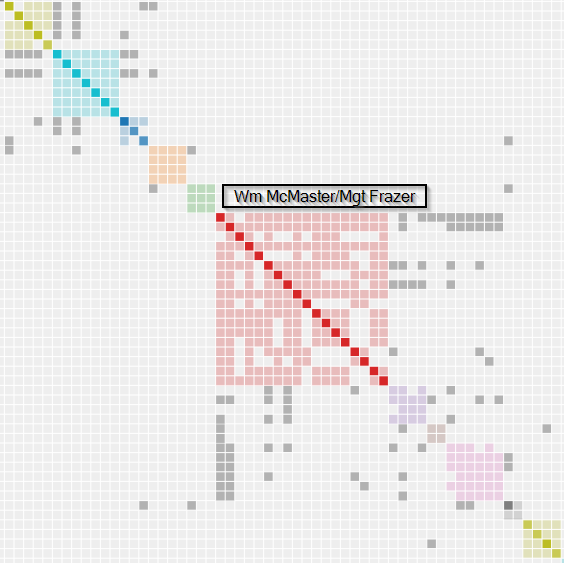 The purple Frazer Cluster is relevant to this Blog. BV is the first match in the Cluster. Her ancestors are William McMaster and Margaret Frazer. The next match is Whitney. She matches BV and Gladys the third match. BV and Gladys do not match in this analysis. Gladys matches on my Frazer side. 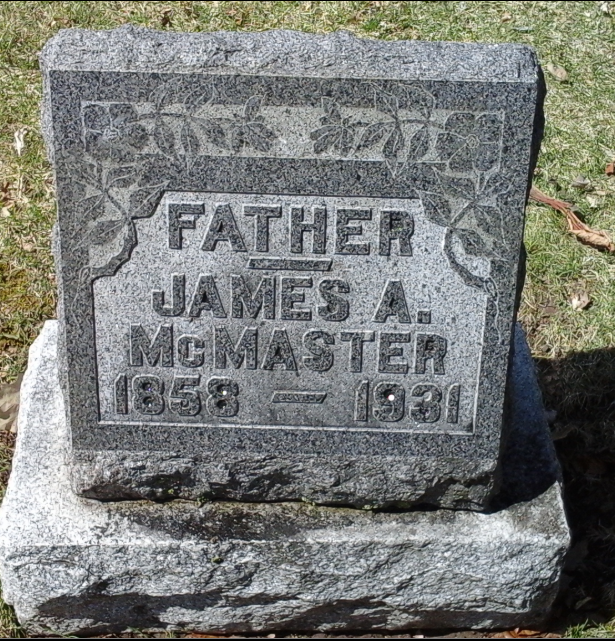 So a Blog I wrote on my third great granmother’s sisters strongly suggested that James was in the William McMaster/Mararet Frazer family. I added James McMaster to that tree and ThruLines found a descedant of James named Jennifer who matched me by DNA. 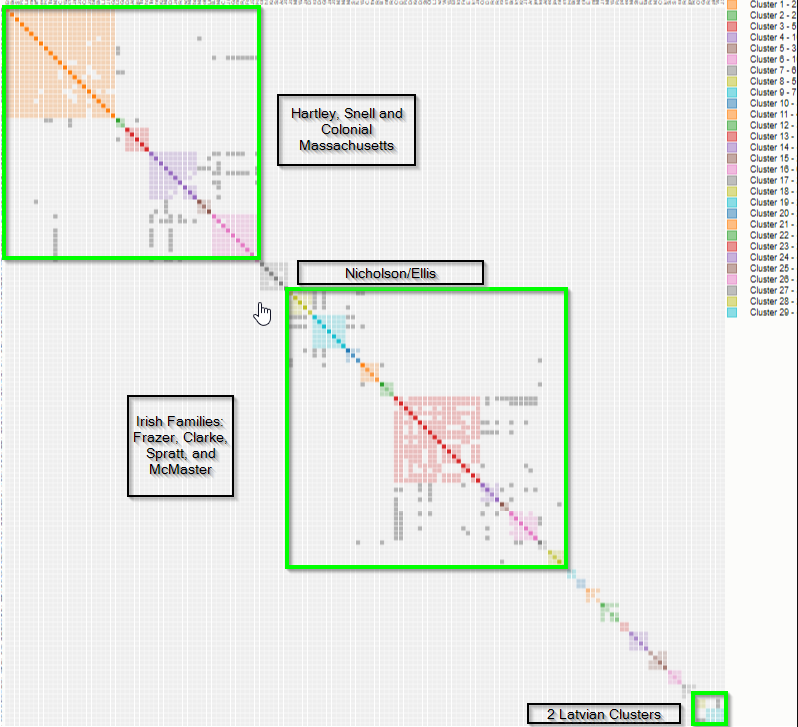 I looked for shared DNA matches between Jennifer and me and found one that went by mtrent. 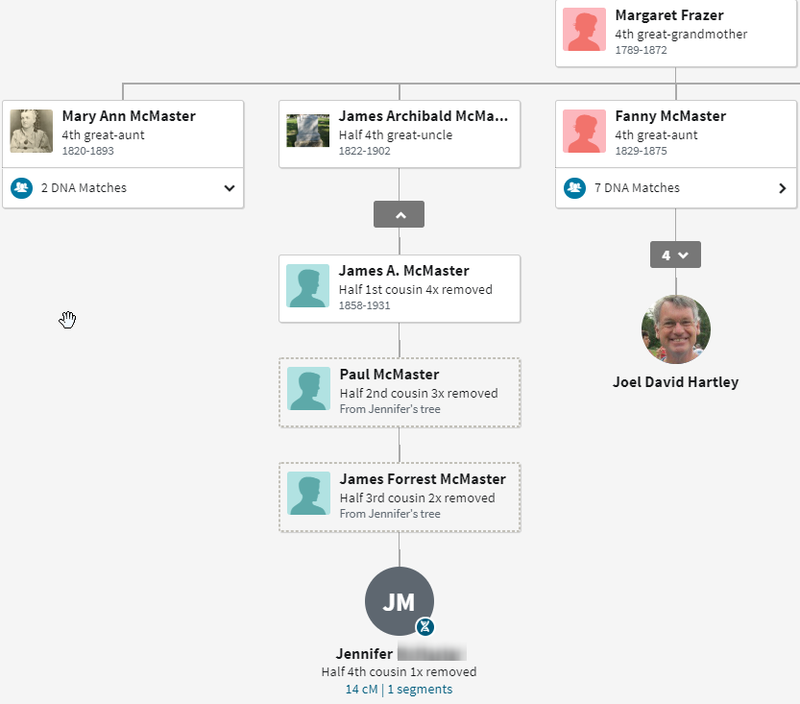 Mtrent had mentioned that she was descended from James McMaster in 2017. I now know that her guess that James was a son of William McMaster and Margaret Frazer was right. Identifying mtrent’s ancestry may give further hints for other shared matches.